Colorado Legal Poker Laws - Is Online Poker / Gambling Legal in Colorado? Is Online Poker / Gambling Legal in Colorado? 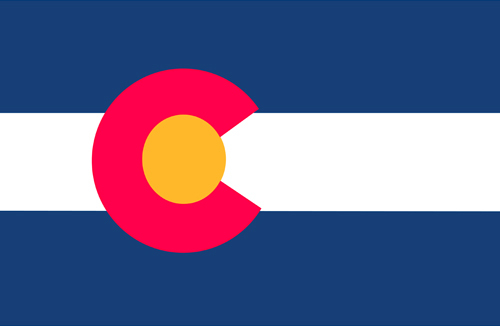 The state of Colorado bucks the trend among American states, most of which create complex and headache-inducing legislation regarding gambling. Colorado’s gaming regulations are downright pithy compared to other states. The state government of Colorado is mostly interested in blocking the type of gambling that involves organized crime. That means they aren’t all that interested in busting individuals for hosting home games or gambling on the Internet, but the regulations that exist to include some poker restrictions. The end result is that, in The Centennial State, home games are legal (if they follow a few rules and regs), and casino poker is easy to find. Colorado is a relatively poker-friendly state. There is no shortage of poker players in the state of Colorado, but many of them may not be 100% clear on how the laws of their state view their poker activity. The first thing that poker players in Colorado need to know: Poker is considered gambling by state law. This is asserted by the definition of gambling Colorado employs, found in Section 18-10-102, whereby games that are "contingent" on chance, whether "in whole or in part," are considered gambling and thereby subject to the state's gambling laws. The characterization was also supported by the Colorado Supreme Court in 2010 when the court refused to hear an appeal of a lower court's ruling that poker constituted gambling. What's the practical impact of that legal reality? In a nutshell: only games of real-money poker that are specifically legal per state law are allowed, and all other games are on questionable legal ground. That naturally leads to the next question of what types of poker Colorado law specifically permits. You have two ways to play real-money poker and remain in complete compliance with Colorado law. The first is to play at a regulated casino in one of the towns designated for regulated gambling in the state (Blackhawk, Central City and Cripple Creek). You'll find poker rooms at plenty, including Colorado Belle and Casino Black Hawk. The second is to take advantage of a part of Colorado law that recognizes the right of those in the state to participate in so-called "social gambling." As laid out in Section 18-10-102 of Colorado's statutes, social gambling occurs when no party profits from running the game, all participants have a valid social relationship and no businesses or non-persons are involved. Finally: as of this article, the list of legal charitable gambling options in Colorado did not include poker. Is Gambling / Poker Legal in Colorado? Evidence of Colorado’s liberal poker law is the fact that the penalties for illegal poker play aren’t very harsh. If you read section 18-10-103 of the State Penal Code, you’ll see that “ . . . a person who engages in gambling commits a class 1 petty offense.” That means breaking existing poker laws results in a penalty that isn’t enough as harsh as a misdemeanor; essentially a small fine. Break the state’s gaming law and you’re most likely to get the legal equivalent of a slap on the wrist. A class 3 misdemeanor is a little more than a slap on the wrist, but as of this writing, no one has been prosecuted for this offense. Consult a lawyer if you plan on playing online poker in Colorado and want to make sure you’re not breaking the law, though it seems clear that any sort of online wagering is against state law. That means that a private home poker game is legal as long as it is kept in private and is not operated for profit. In Colorado, the game’s host can play and even collect winnings, but is not allowed to charge any sort of entry fees or rake any pots. Coloradans enjoy some of the most relaxed anti-gambling laws in the country, as long as they follow the few restrictions written into the state code. Obey the law, don’t rake your home game pots, and (if you’re really worried about being in trouble with law enforcement) avoid playing online poker within state lines.